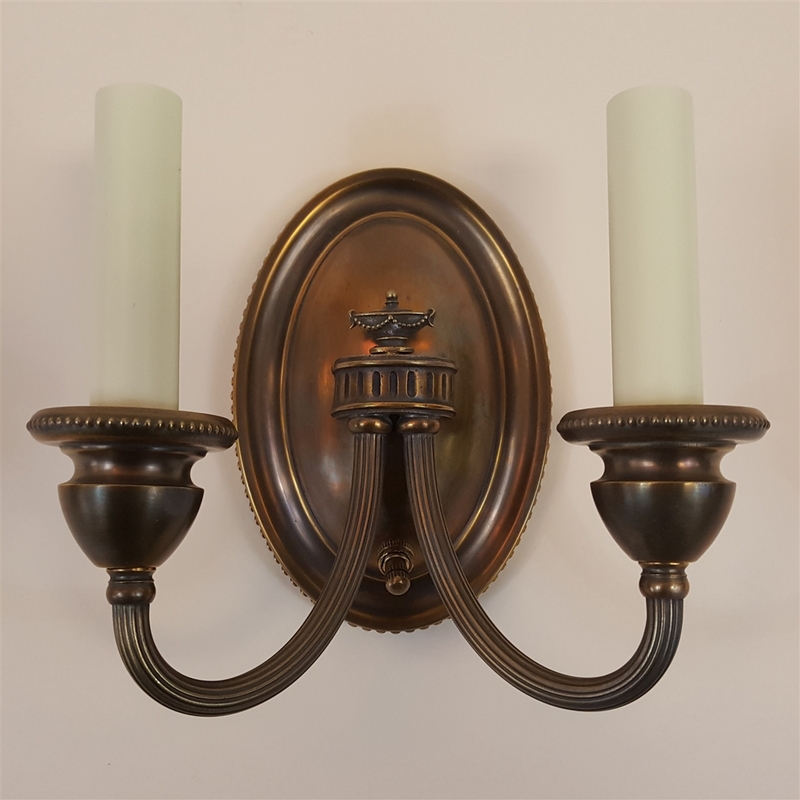 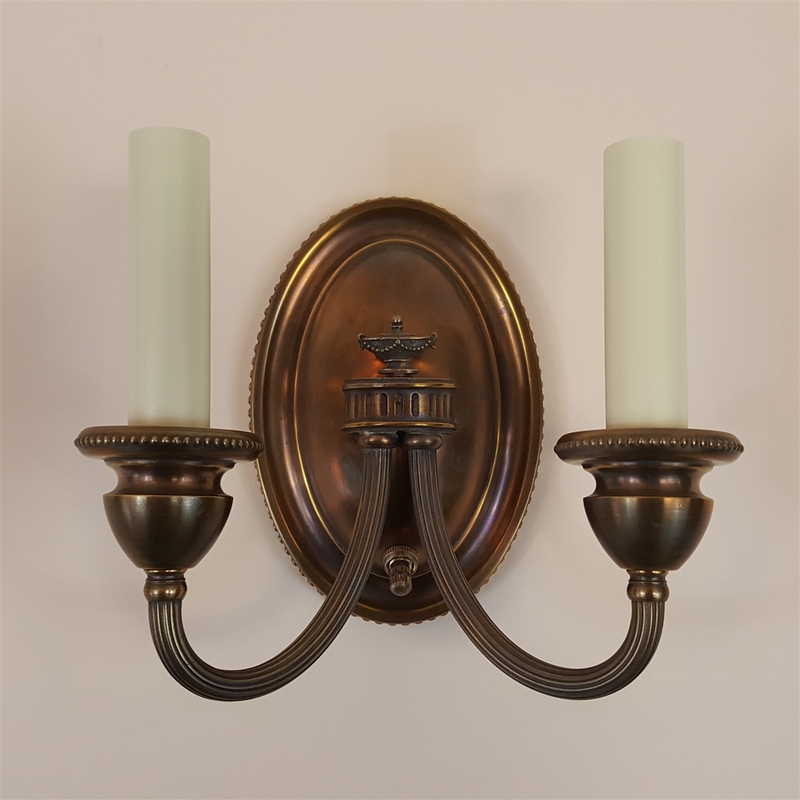 Pair of early electric solid brass neoclassical wall lights. Electrical: Each light uses 2 (e12) candelabra based bulbs. 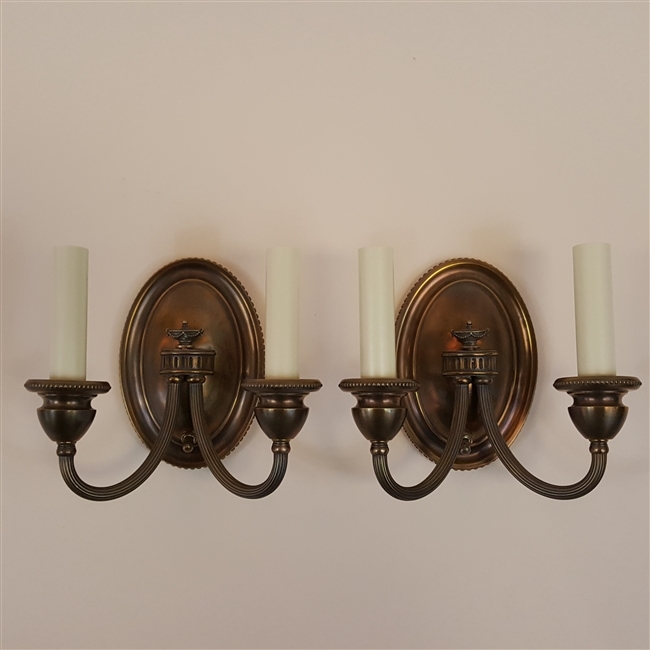 These lights are switched.